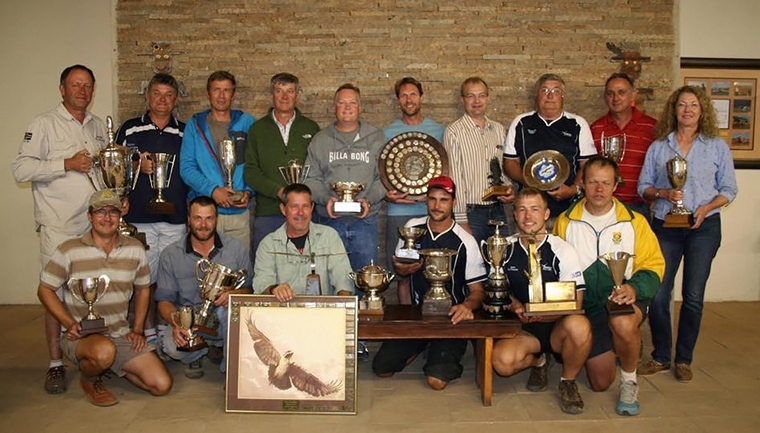 The 2016 Jonker Sailplanes National Championships was held at the home of Jonker Sailplanes in Potchefstroom from the 1st to 8th of October. A record entry list of 48 participants all but guaranteed a great competition. It was decided to move the nationals from December to October as the world championships will be taking place in Australia early in January and there wouldn't be enough time to prepare the qualifying teams for the worlds. 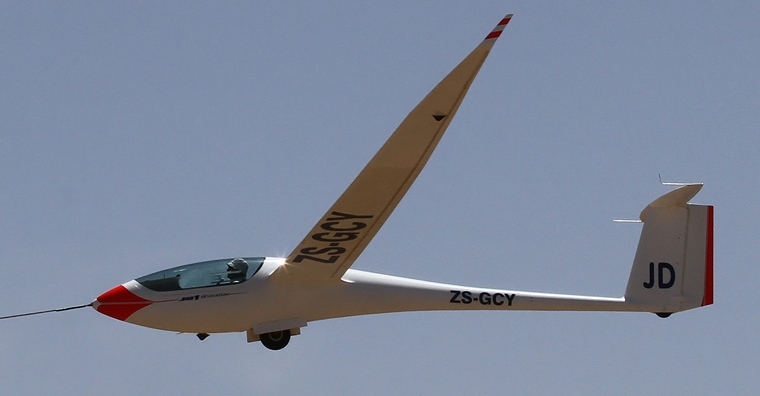 Club Class, allows a wide range of older small gliders within a specified range of performances, with the scores being adjusted by handicapping, disposable ballast may be installed but must not be used in this class. The competition was held over a seven day period with each class being given a task to complete for the day, the tasks differ slightly for each class. All classes have maximum altitude limits for the start which is normally in the vicinity of 1500m or 5000ft ASL but does vary from task to task; penalty points are incurred if the height restriction is broken. Each competitor carries a primary and secondary GPS logger so all altitudes speeds and flight path can be accurately logged. Each day a shorter task is also published and the judges can decide to use the "B" task if the weather or other conditions are not favourable for task "A"
After many hours of flying in less than favourable flying conditions the competition was concluded with the Club class flying being cancelled on the last day due to very high winds. According to FAI rules if there is four days of results the competition is valid, for a day's task to be valid only one aircraft has to complete the task. AP Kotze walked away with the honours in the Club class with 4588 points followed very closely by Jaco Burger with 4585 and Tommie Grobler with 4500. Top position in the open class was an all local Potchefstroom affair with not one but two of the Goudriaan family in the top three, Laurens took the number one spot with 5245 points and his brother Oscar taking third with 5145 points. Uys Jonker from Jonker Sailplanes slotted between them in second with 5175, having no more than 100 points separating the top three proved just how tough the competition was. We would like to take this opportunity to wish all the competitors the best of luck for the world championships, bring back the gold guys.